Imagine a conveyor belt of changes from developers and a bunch of testers taking the changes, verifying them and complementing these changes with verification results. 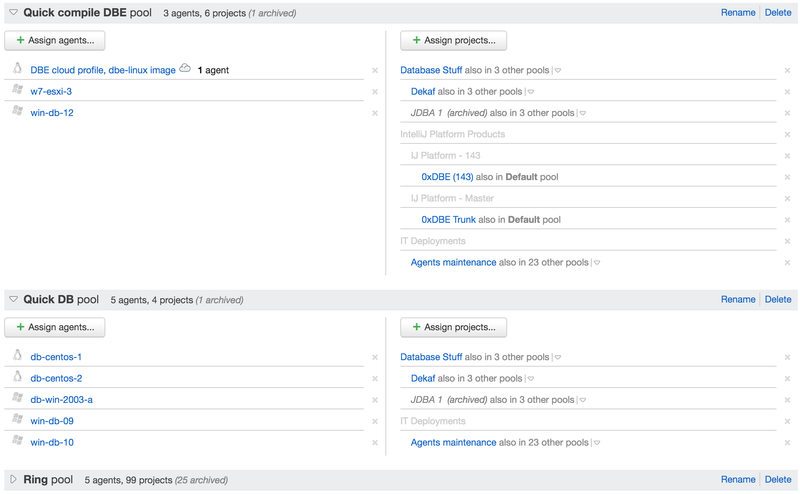 TeamCity is such a conveyor, except that testers are replaced with Build Agents. Build Agents are computers with installed TeamCity agent software capable of running different types of build scripts. As developers integrate their work results into the Version Control System, TeamCity server distributes them to the Build Agents automatically. Build Agents detect and pass to the server a wide range of software (like language interpreters and testing tools) and hardware (like CPU or disk space) parameters which can be utilized in build scripts. Upon server upgrade or downgrade, Build Agents upgrade or downgrade themselves automatically. Different projects have different rates of changes. To prevent projects with a higher rate of changes to occupy most of the agents, agents can be divided into different pools, and projects can be assigned to a specific pool. TeamCity provides detailed statistics on how build machines are utilized. With such data at your fingertips, it’s easy to manage your build farm. 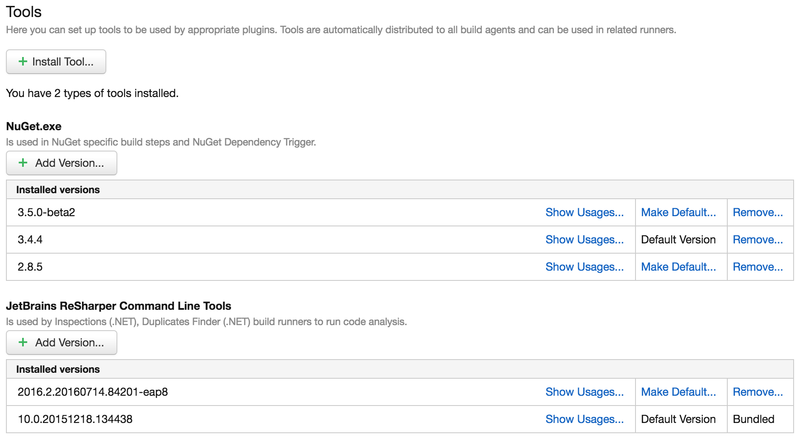 Install tools on agents right from the TeamCity UI. Add new tools, upload different versions, and manually pick the default ones.